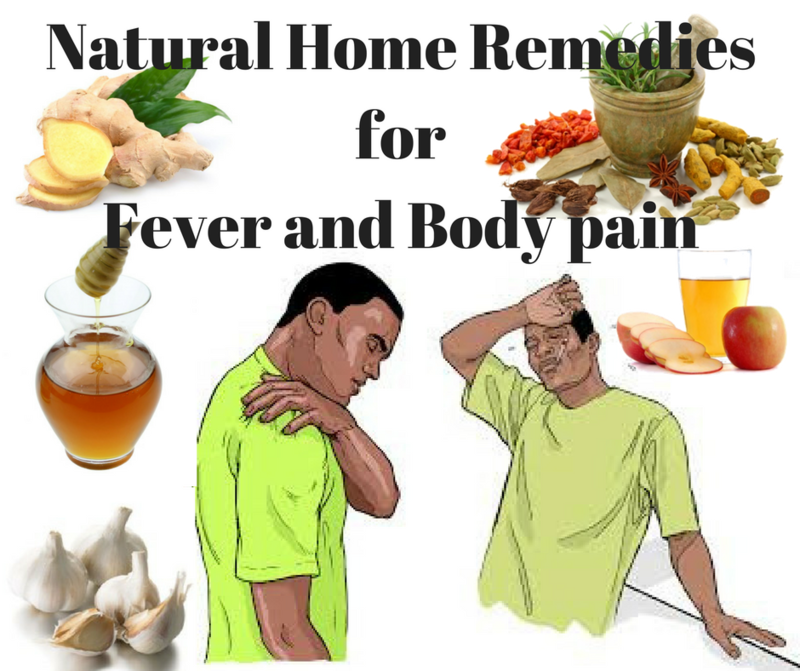 Natural home remedies for fever and body pain recommended by Ayurveda and naturopathy can be utilized to avoid severe side effects arising from antibiotics and over-the-counter medications. A remedy or concoction that is prepared at home with the use of daily household ingredients that aid in curing an ailment naturally are known as home remedies. It does not require a prescription as these home remedies are tried and tested and have no side effects. Place soaked washcloth on the forehead and wipe areas like armpits, feet, hands, and groin to bring down the temperature. Boil 20 basil leaves and 1 teaspoon crushed ginger in 1 cup water, until the solution gets reduced to half. Add a little honey. Drink this 2-3 times in a day for 3 days. Add half cup apple cider vinegar to lukewarm bath water. Soak in this water for 5-10 minutes. In about 20 minutes, you will notice improvement. Repeat again when body temperature is high. Garlic is renowned for its antibacterial and anti-fungal properties. Crush 5-6 garlic pods and consume raw for immediate relief. To get rid of the strong odor, mix the crushed pods in a cup of curd. Boil a few slices of ginger in water. Strain and add 2 tablespoons of lemon juice and 1 tablespoon of honey for fever. Increase tomato intake in diet. Tomatoes are rich in vitamin C, which is essential for fighting body aches. If one cannot consume tomatoes directly, then tomato milkshake can be consumed for body aches and pain. Honey contains anti-bacterial, anti-microbial and antioxidant properties. It is recommended to consume honey during a fever as it contains calcium, copper, iron, magnesium, potassium, sodium and zinc. Juice apricots in a cup and mix with one teaspoon of honey, which is an excellent home remedy for fever and body pain. Take a cup of coriander seeds and boil to get the water. Strain it, and once it cools down add some milk and honey. This will help one to get rid of viral fever. Soak 1 tablespoon of fenugreek seeds in a cup of water overnight. Strain the next morning and sip the water at regular intervals. Another home remedy for fever and body pain is to mix on teaspoon each of fenugreek seeds, lemon juice, and honey. Consume twice for fever relief. Prepare a tea by using one teaspoon of cinnamon with two cardamom pods. Add some freshly grated ginger to boost the healing power of this tea. Cough continuously can be bad and may result in a serious medical problem, find here for the best solution.